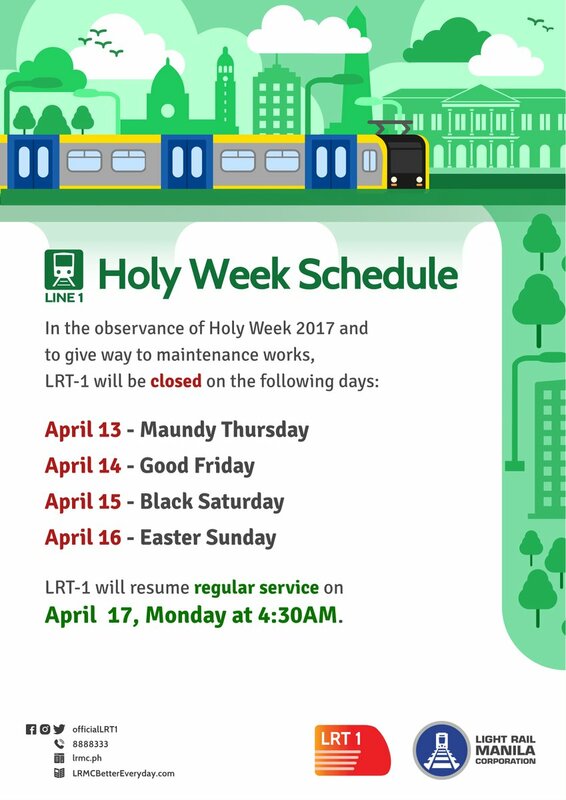 MANILA, Philippines - The Light Rail Transit (LRT), Metro Rail Transit (MRT) and Philippine National Railways (PNR) schedule for Holy Week 2017 has been released online. 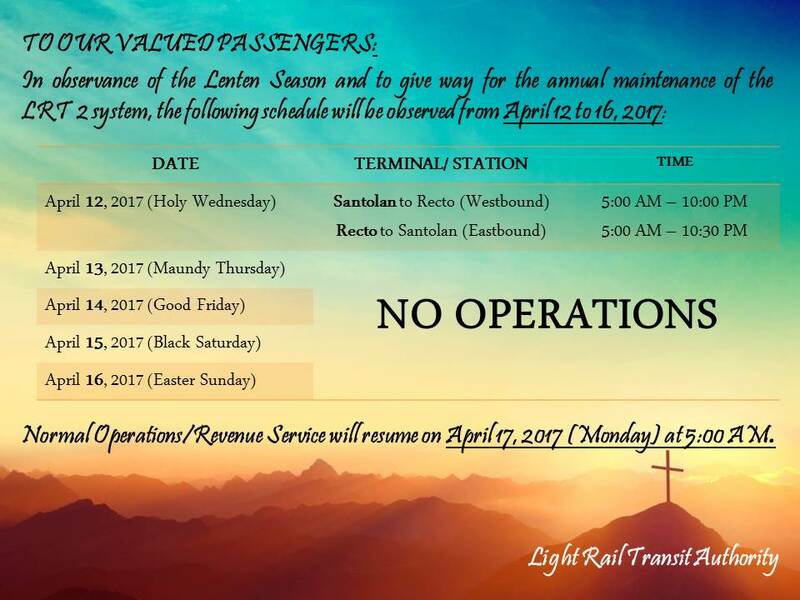 LRT1, the oldest mass transit system in Southeast Asia that runs from Baclaran in Parañaque City to Roosevelt Avenue in Quezon City, announced its schedule for the observance of Holy Week. In a statement, LRT 1 will be CLOSED from April April 13 (Maundy Thursday) to April 16 (Easter Sunday). The regular operations will resume on Monday, April 17 at 4:30 a.m.
On April 12 (Holy Wednesday), the first train will leave Santolan at 5:00 a.m. and the last trip at 10:00 p.m. From Recto, first train will depart at 5:00 a.m. and the last train to leave at 10:30 p.m. There will be no operations from April 13 to 16 to give way also for the annual maintenance works. Normal operations will resume on Monday, April 17 at 5:00 a.m.
DOTC-MRT3 advised that there will be no MRT operations/revenue service from April 13 to 16. Full operations will resume on April 17. PNR advised that there will be no operations from April 13-16 due to maintenance activities. The full operation will resume on Monday, April 17. However, there will be a special trip at 7:07 p.m. (Tutuban-Mamatid) and 7:37 p.m. (Tutuban-Alabang) on April 16. 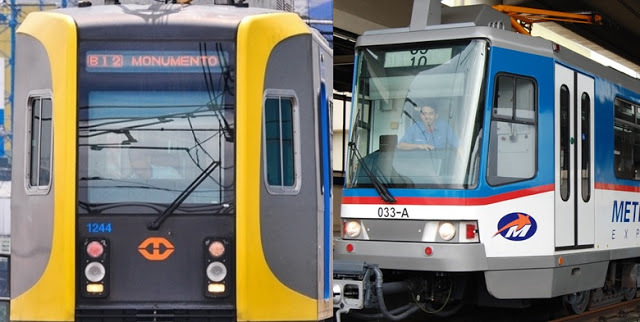 The Metropolitan Manila Development Authority (MMDA) has lifted the number coding scheme in Metro Manila (except Makati and Las Piñas) on April 12 and April 13 - 14. There will be no Pasig River Ferry Service Tuesday, April 11, in view of the number of participants in the MMDA Visita Iglesia activity. Ferry operation is up on April 12 (Holy Wednesday) and April 13 (Maundy Thursday). Normal operations will resume on Monday, April 17.